I LOVE X2! For reals like LOVE it, love it. 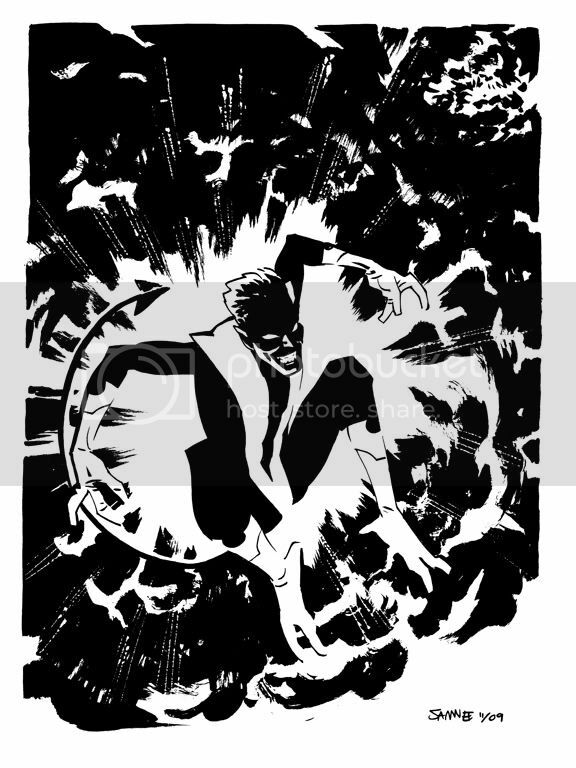 That said, why the Hell didn't anyone in that movie mention the stink of Nightcrawler's teleportation?! It's supposed to smell like fire and brimstone right? That'd be godawful to be around... especially over and over again in a small hallway! If I were in the editing bay I'd have had them put in at least one shot of a couple of those White House security guards making faces like they just caught a whiff of big ol' fart. Mentioned it on Twitter, but absolutely loved this sketch. Happy Holiday's Chris and Laura!! Nice one-two punch of high brow insights and in-your-face Kurt Wagnerisms. This one has a nice Michael Golden feel to it that really rings true to the character. Great work, Chris!